But not enough of them seen. 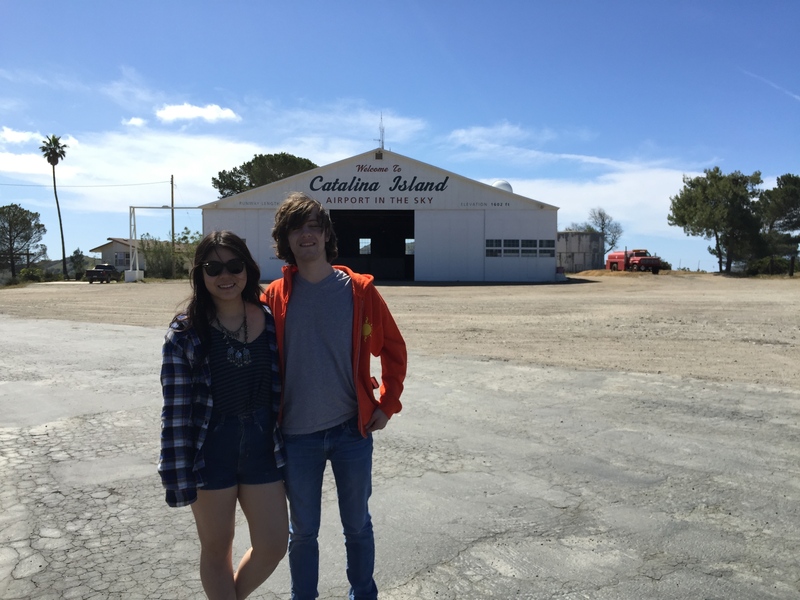 Here are Rudy and Helen out on Catalina, just before we started the usual 2.2 mile Airport Loop hike around the airport. It feels like we haven’t spotted the buffalo in a while. This was the fifty-ninth time I have been to the Airport in the Sky, although that’s probably under-reporting by a couple. That was the number fastest and easiest to grab out of my logbook. The hike was a little slower than usual, but it was so beautiful that it was nice to see more of the landscape in detail. 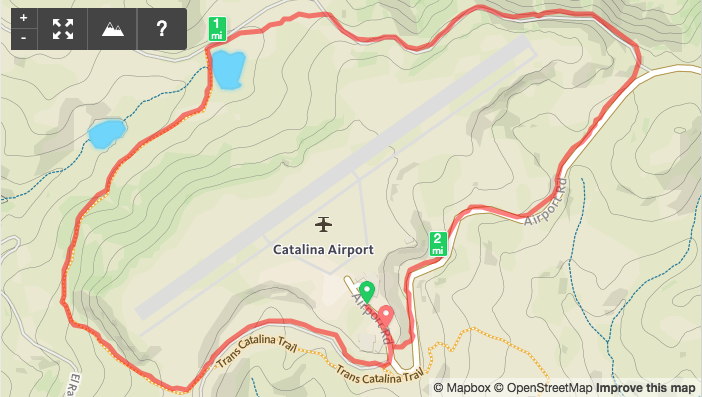 If you click the map you’ll get all the fine print on the hike over at RunKeeper. I think the buffalo are missing because of the drought. I asked the manager of the airport once if he enjoyed the job and he said the only thing he didn’t like was having to chase the buffalo off the runway with a tractor. They get stubborn and go past the cattle grates and need to be forced back to their pastures.